In nearly every city and town where English-speaking tourists venture, there is a line of locals eager to learn how to communicate with them in an effort to boost their bottom line. Also, in most countries, professionals like doctors, lawyers and businessmen need English to travel and work across geographic borders (even if it’s only virtually). But here’s the important thing to know…80% of teachers teaching English abroad are not native English speakers. The reality is, there are not enough native English-speaking teachers to meet demand. It’s no mystery that students prefer to learn from a native speaker, and that’s why they’re so sought after. And, because students are learning English in nearly every country on the planet, no matter where you want to go there’s a good chance someone is eagerly waiting to hire you. 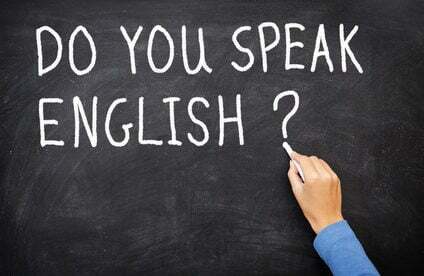 You might be under the impression that the only opportunities to use your English skills to earn in another country are teaching children and teenagers in schools. That’s not the case at all. There are many different ways you can teach: as a private tutor, in a traditional school or university, at a language institute, or even working for a private company teaching business professionals. There are many, many ways to cash in on teaching English and some of them involve nothing more than a friendly conversation at a local coffee shop a few days a week. What could be easier or more enjoyable than that? If you decide to give private lessons, you get to choose your schedule, set you own hours, and even decide with whom you want to work. There is no need to rely on a place of employment for your paycheck. How would you like to have 11 weeks of vacation a year, get paid a full-time wage for working less than 40 hours a week, and possibly have all of your housing and living expenses taken care of by your employer? These are just some of the perks available to you when you teach English abroad. Some employers even offer free classes in the local language, to help you improve your communication skills. Countries like Colombia, Thailand, and China have nearly 20 federal holidays a year. That means more than once a month you could be enjoying a long weekend and the opportunity to explore your new country. Your ability to read, write, and speak English can be your ticket to waking up to eternally sunny skies, warm tropical weather, the smell of the ocean, and vibrant green palm trees swaying in the breeze. You don’t need teaching experience to become an English teacher. There are so many positions out there that finding work is easy. You don’t have to speak the language of your students either—all your lessons will involve teaching English, through English. You don’t have to have some ultra-advanced level of English or a five-star education. Institutions want you to teach their students because you know how words should be pronounced and you’ve been speaking English for decades. You’re already an expert. The demand for native English speakers will only increase in the coming years. Not long ago, CNN reported that the hottest job skill globally is English. As we grow toward a single market economy, English will be an essential business skill for all countries. Based on that, I recommend putting English teaching at the top of your list of ways to earn overseas, knowing that it’s also a great way to integrate into your new culture, meet locals, and see the world.